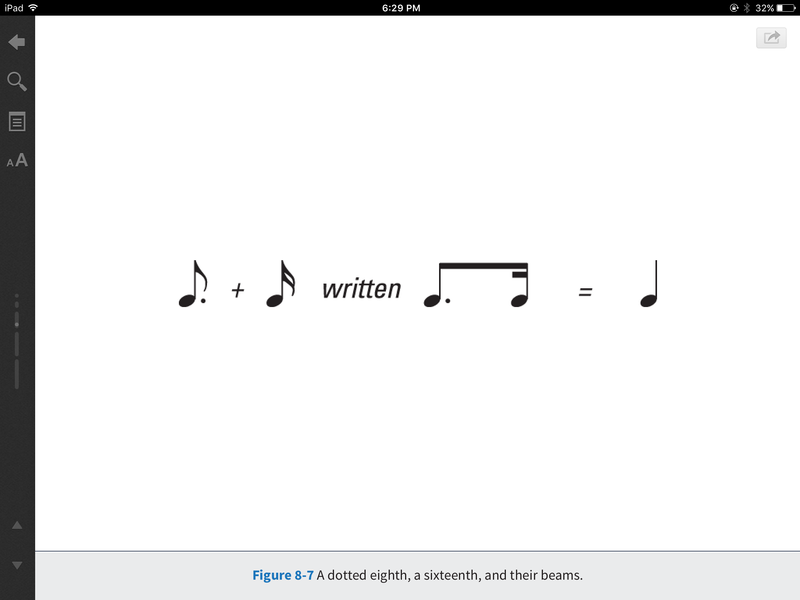 You can also make notes longer by adding a dot or tie to the notation. When half notes and whole notes don’t do the trick when wanting a longer note then try ties. A tie does as it implies. It ties the length of two notes together to become one longer note. When you tie two 1/4 notes together you would get a 1/2 note. If you tied a whole note with a half note in 4/4 time you would get a note that last 6 beats or one and a half measures in length. *You will have to be careful not to mix up the tie with another notation which is a slur. It looks similar to a tie. Both use a curved line. 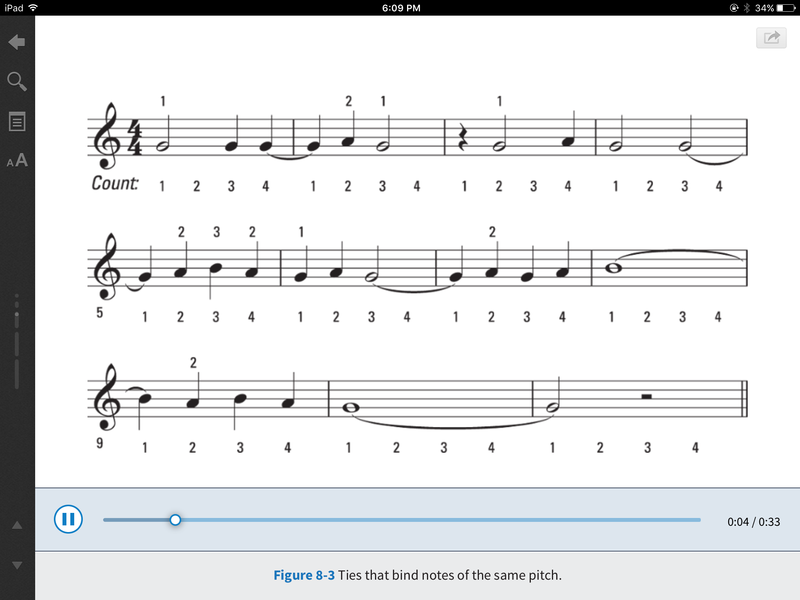 The difference is that a tie connects two notes of the same pitch together to become one longer pitch. The slur connects two notes of different pitches together to be played as one phrase or line. 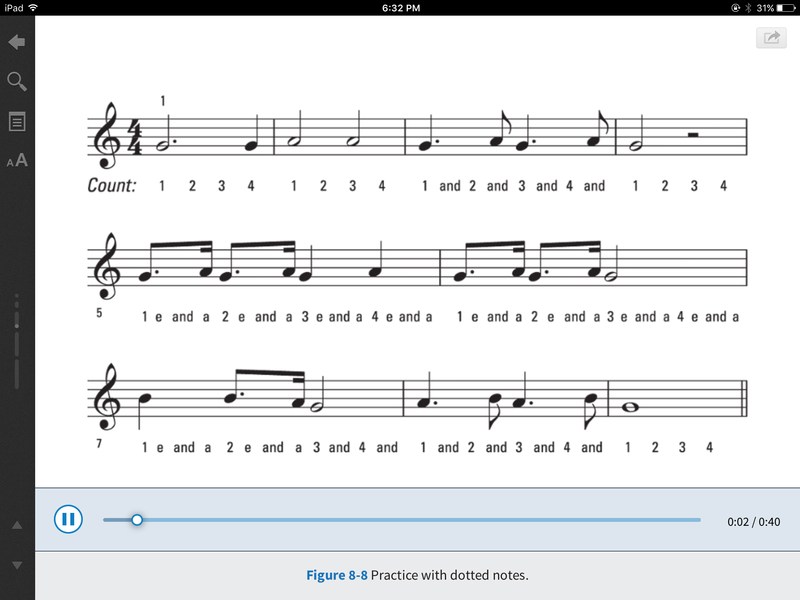 Another way to create a longer note is to use dots. A dot added to any kind of note or rest makes it last 50% longer that the original note or rest would. 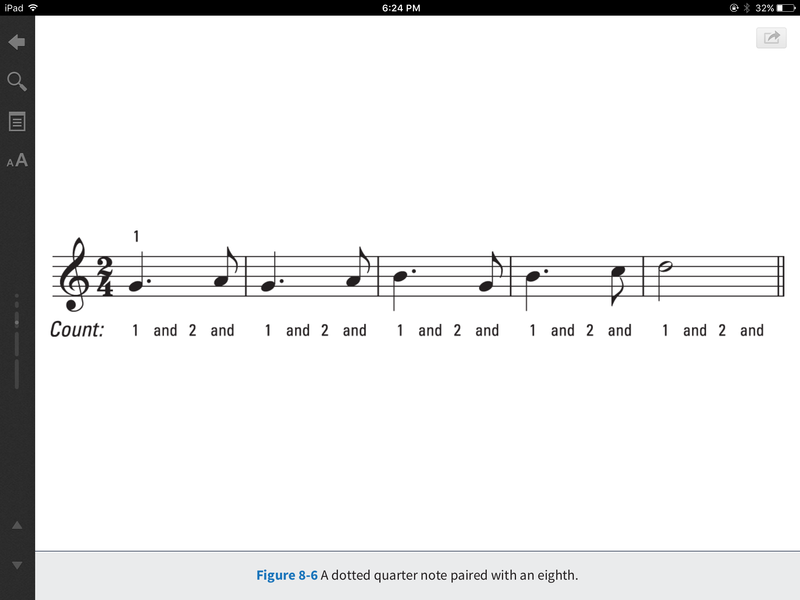 A quarter note lasts for one beat. 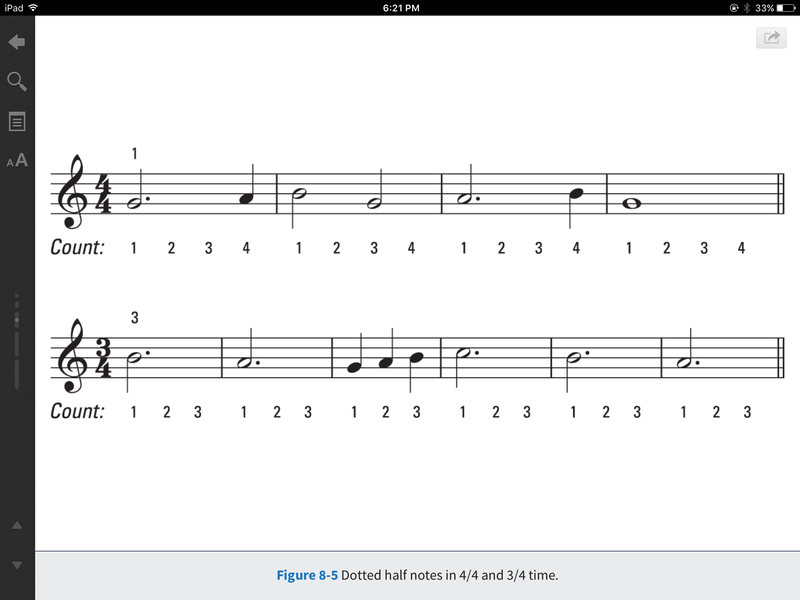 A dotted half note would last for 3 beats. One half (gets 2 beats) plus one quarter (gets one beat) = 3 beats. The dotted 1/8th note or rest lasts for 3 sixteenth notes or 1/8 + 1/16 = 3/16. Try playing this piece on the piano which uses Dotted 1/2, Dotted 1/4, and Dotted 1/8 notes.